Astrego’s Captiver™ system offers fast, sensitive, and precise Antibiotic Susceptibility Testing (AST) in a completely automated fashion making it a candidate for replacing the current methodology in central laboratories. 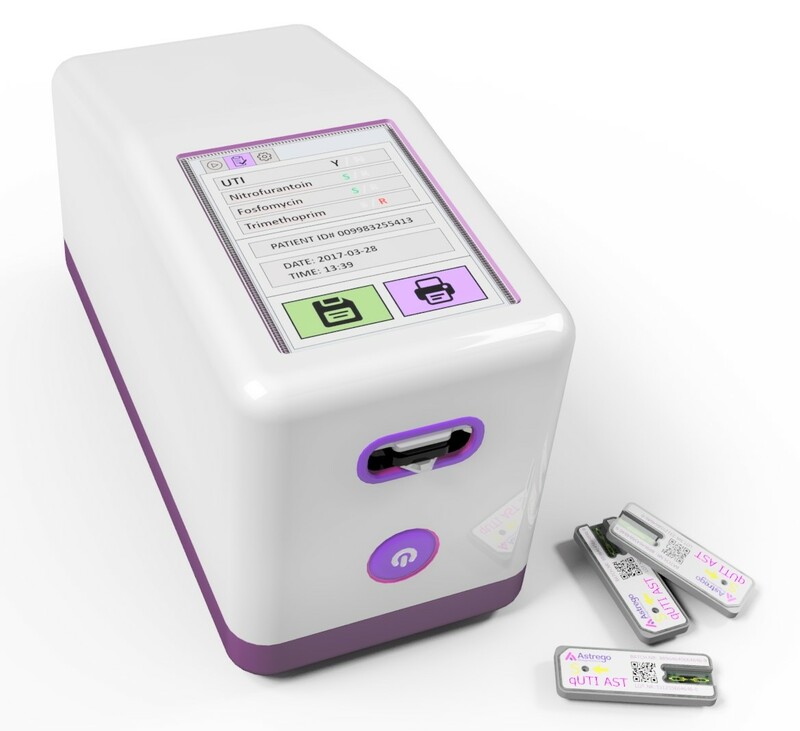 With unmatched speed at low cost, the technology is also applicable to near patient testing, enabling personalized antibiotic prescription for a vast number of conditions, such as Urinary and Respiratory Tract Infections, Tuberculosis, Skin Infections and Sterile Body Fluid Infections (i.e. Sepsis, Meningitis, Infectious Arthritis). Captiver consists of a desktop instrument and indication specific panels for rapid Antibiotic Susceptibility Testing (AST). The Captiver instrument is fully automated, compact and cost effective. Astrego’s lead products will be for AST directly from positive blood cultures enabling rapid personalized treatment of sepsis. Sepsis is one of the most common reasons for admission to critical care in the US and in Europe and a major cause of death worldwide. 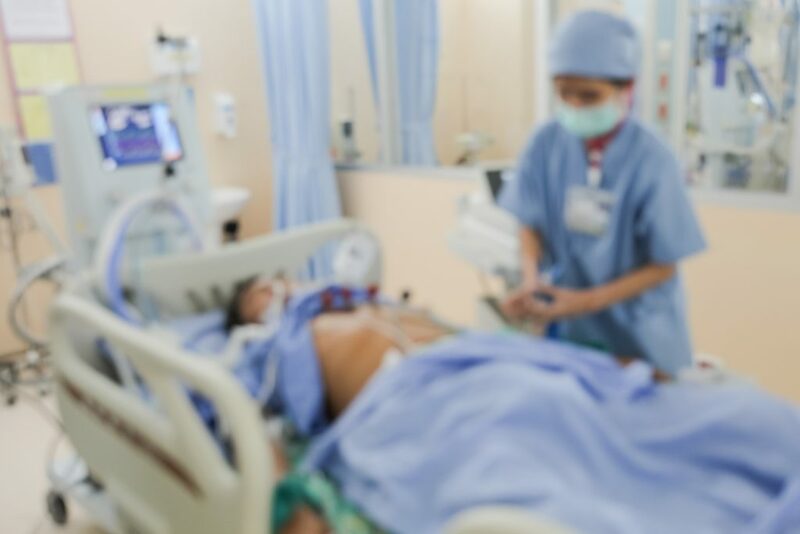 To reduce the mortality and the cost of care it is critical to treat sepsis patients with the right antibiotic as fast as possible. Astrego is developing Captiver panels with antibiotics relevant for sepsis treatment. AST data from positive blood culture samples will be available within 5-60 minutes after Gram staining. Results are interpreted together with bacterial ID from another source allowing clinicians to rapidly optimize the antibiotic treatment. Astrego´s Captiver system can be used for rapid detection of bacterial infection and susceptibility testing for UTI patients at the Point of Care. For this purpose Astrego is developing a Captiver panel preloaded with antibiotics relevant for UTI. Captiver reports the presence of growing bacteria in urine samples within 10 minutes. 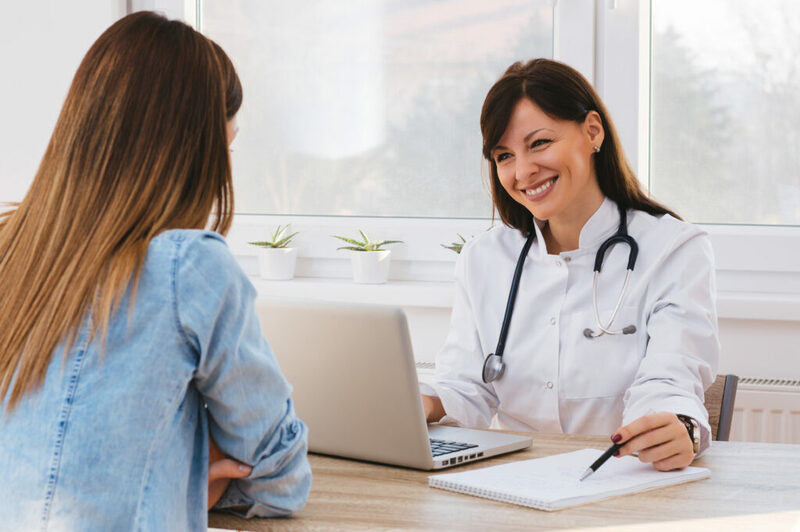 If the urine culture is positive, the system automatically performs a susceptibility test and provides results in a total turn-around-time of less than 30 minutes. Thus, it enables personalized treatment for UTI-patients at their first consultation. Pathogens from patient samples containing natural flora often need to be isolated and identified before AST can be performed. 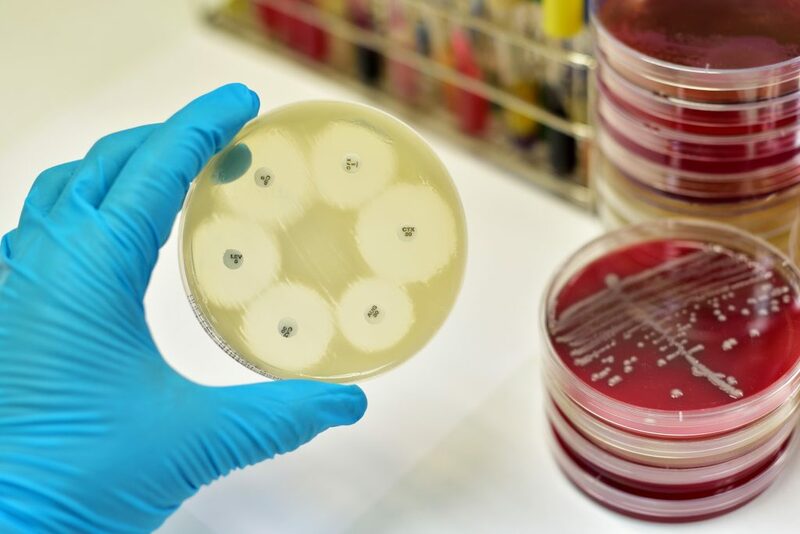 This usually takes 1-2 days and is performed in the clinical microbiology laboratory by plating and identifying individual colonies on the plate. Subsequently, AST of the bacterial isolates takes another 16 hours in the conventional workflow (or up to 4 weeks for Tuberculosis). Astrego’s technology enables AST to be performed directly from isolated colonies in less than 1/10 of the time compared to standard methods.